We are conveniently located on Highway 34, just one mile from Garden State Parkway exit 98 in Wall Township, New Jersey. At Kempton Flag we carry all types of flags, banners, and flag poles for every occasion and application. We also have a large custom flag department. Give us your idea, your logo or a special phrase and we'll turn it into a one-of-a-kind flag that you can fly proudly indoors or out. 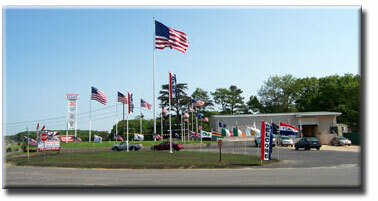 We are a full service flag and flagpole company. We carry a huge inventory, so most of our flagpoles are in-stock and available for immediate installation. If you're in the area, come and browse in our extensive showroom, or surf around our site and give us a call! We will be happy to ship your order anywhere in the world!